We discovered that Bailey drinks more water on our hikes than Chris and I combined so we decided that he's going to have to pull his own weight from now on. His new backpack should have sufficient space to hold his portable bowl and enough water to get him through the day. 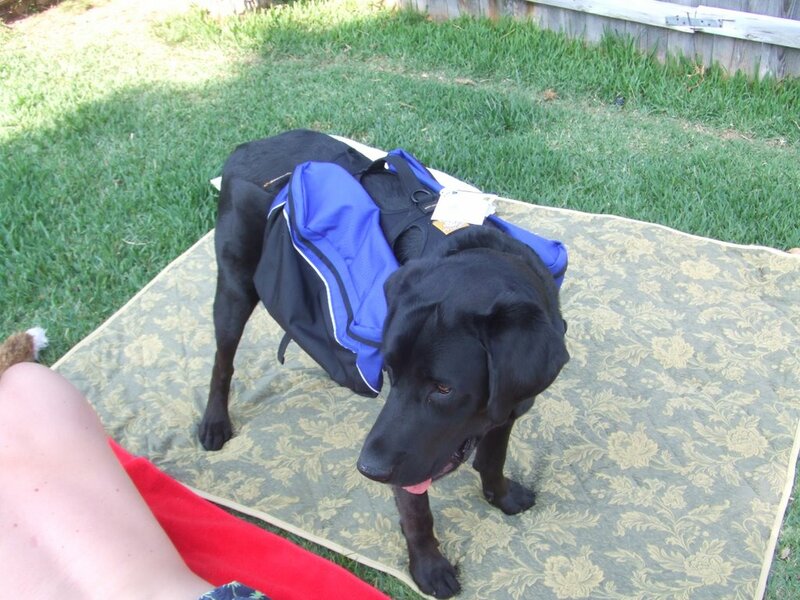 We put it on him this afternoon so he could become accustomed to the feel of the pack. He did fairly well until he tried to fit through his dog door in the garage. Gus has a backpack too! Only his is red. 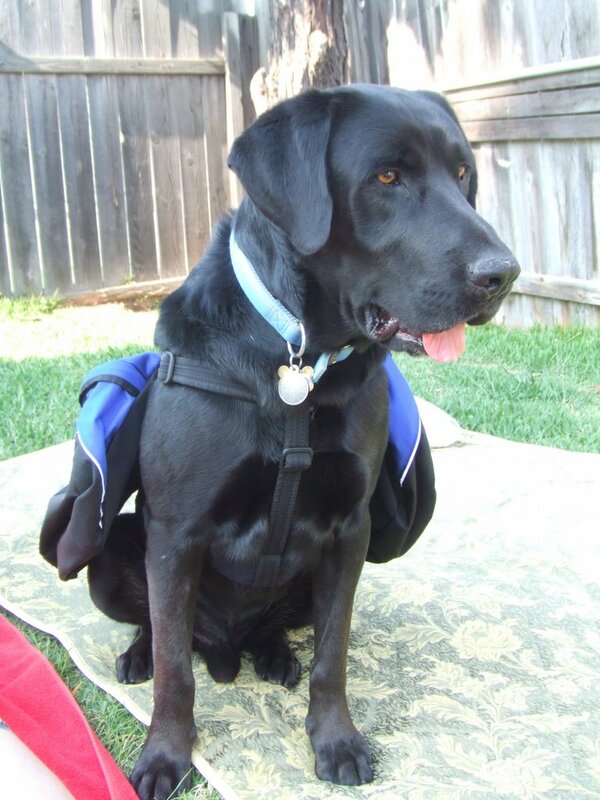 Other hikers will tell you what a great idea, at least that is what we hear when Gus is wearing his on the trails. It makes so much more sense too.